Padded gunbag to protect long guns. Inclusive of a number of features to secure rifles and shotguns together with necessary accessories and ammunitions. GBAG 94 is designed to perfectly fit into Explorer Cases model 9413. The gunbag is built with durable, 600D tear resistant polyester and robust zipper with lockable Velcro pull zipper for the main compartment. 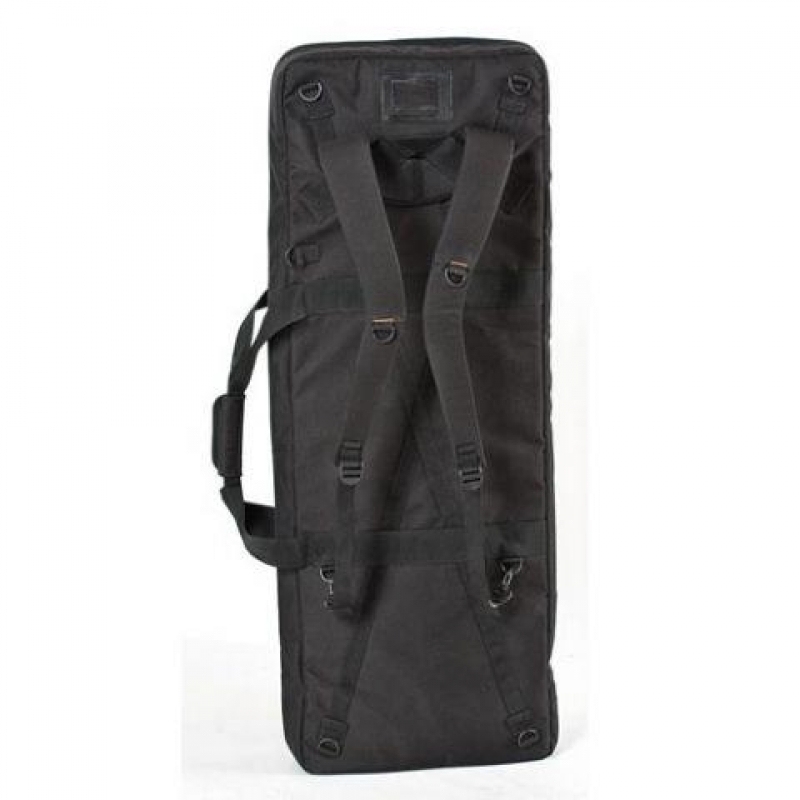 The main compartment features two neoprene hook-and-loop side flaps and adjustable straps to secure firearms. The front central compartment is equipped with adjustable interior straps to secure rifle position. The two side smaller pouches are designed to storage accessories and ammunitions. Both the main and front compartments are padded on all sides to protect and transport critical gear. 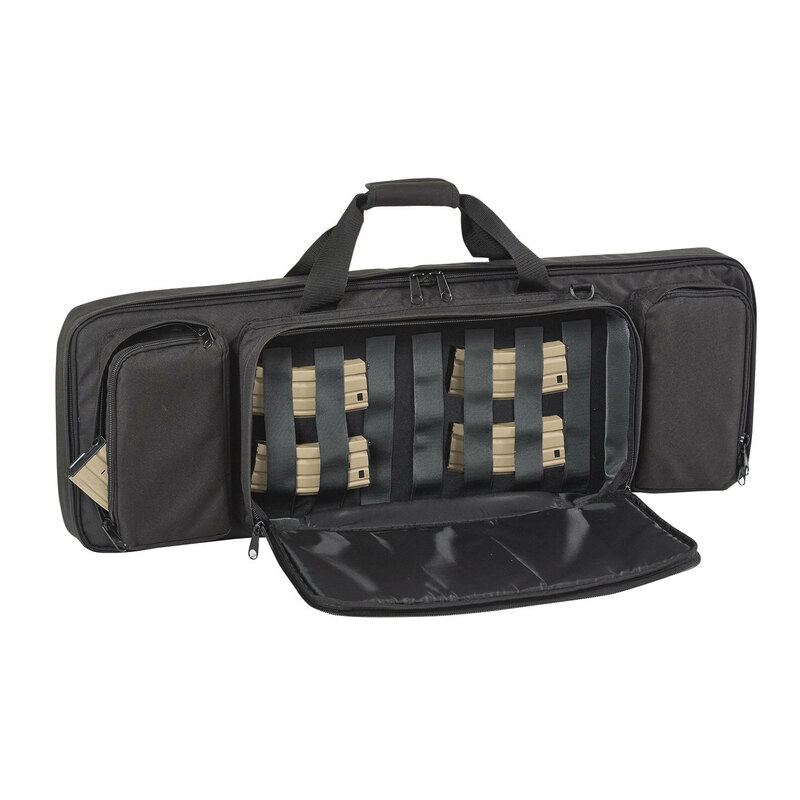 This long gun bag features top and bottom compression straps and come with a removable shoulder strap. Personal ID window on the backside and front removable hook-and-loop screen-printable band.